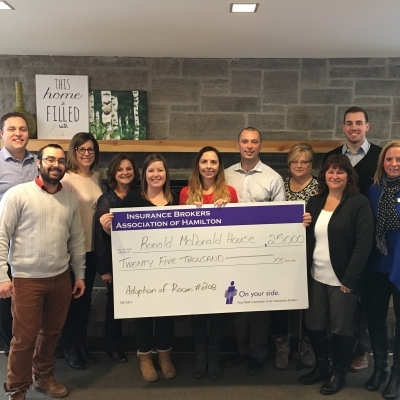 The IBAH is proud to announce that on January 10, 2018, we donated $5,000, for a total donation of $25,000 over 5 years. 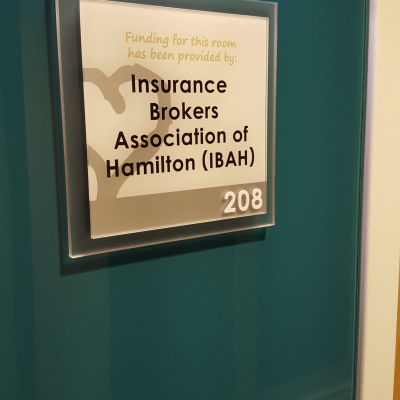 I would like to take this opportunity to share the HUGE impact the Insurance Brokers Association of Hamilton, along with the support from all our members, has had over the last five years in adopting a room at the Ronald McDonald House. We were honoured to not only have a tour of the entire facility but also of the actual room we adopted. What room would not be complete without a few bipper blankets for those cold nights, or just to be warm and cozy. 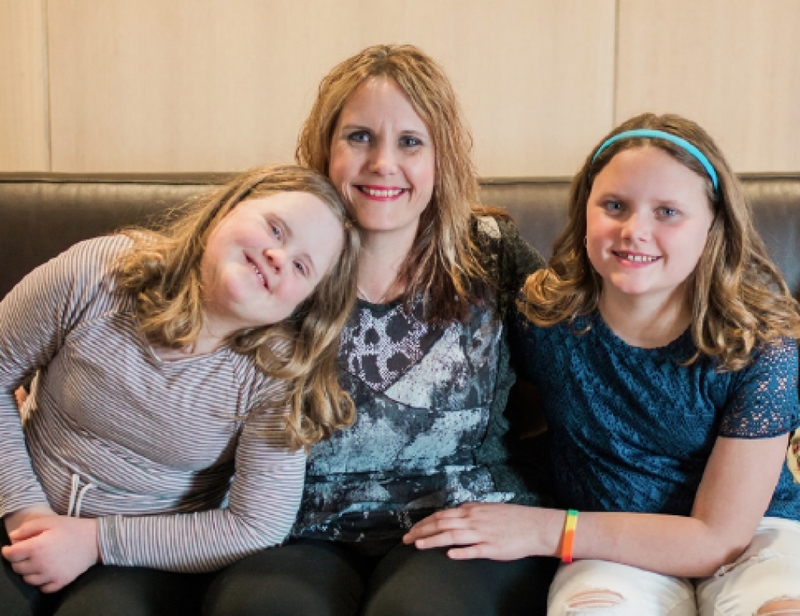 This is a project we are very proud of and it warms our hearts to see our community come together in helping to provide a ‘Home Away From Home’ for seriously ill children and their families. 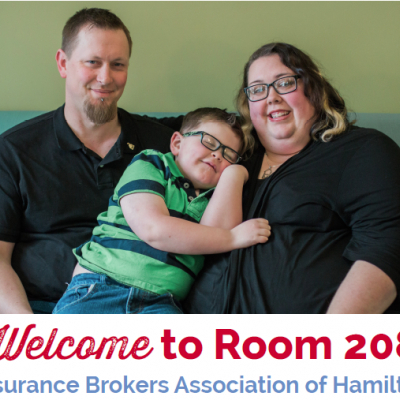 Dear Insurance Brokers Association of Hamilton, We are the Hammond Family, pictured on the cover. 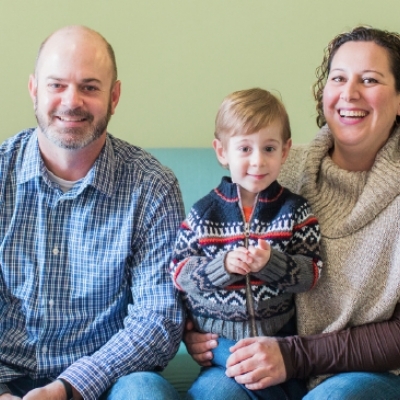 Our family is from Niagara Falls, Ont., and we live over 100 km from RMHC South Central Ontario. 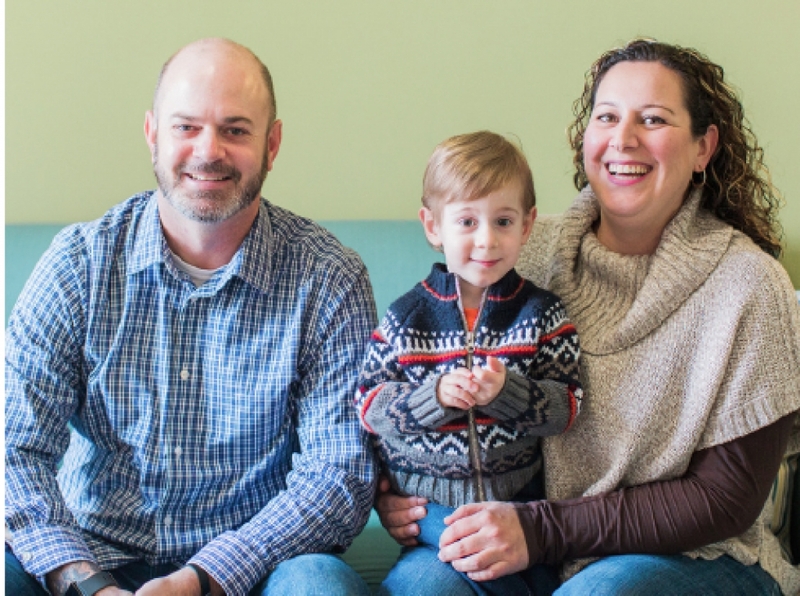 In December 2011, our ttwo-year-old son Griffin was diagnosed with Rhabdomyosarcoma, a rare and aggressive muscle cancer. The treatment he required was offered at McMaster Children’s Hospital, so we packed up our family and headed to Hamilton. That’s where you come in. 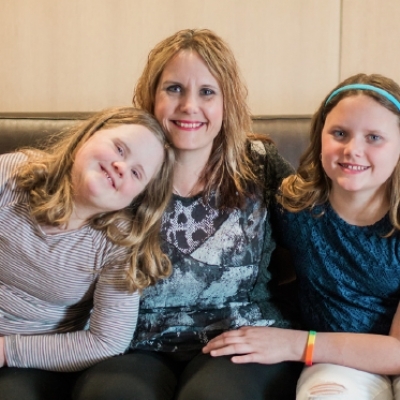 Ronald McDonald House Charities (RMHC) South Central Ontario, keeps families like mine close. 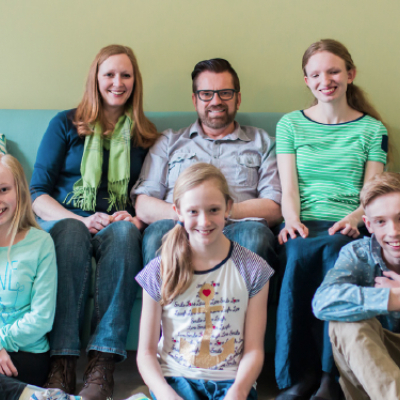 Close to the specialized care that our critically ill children require. 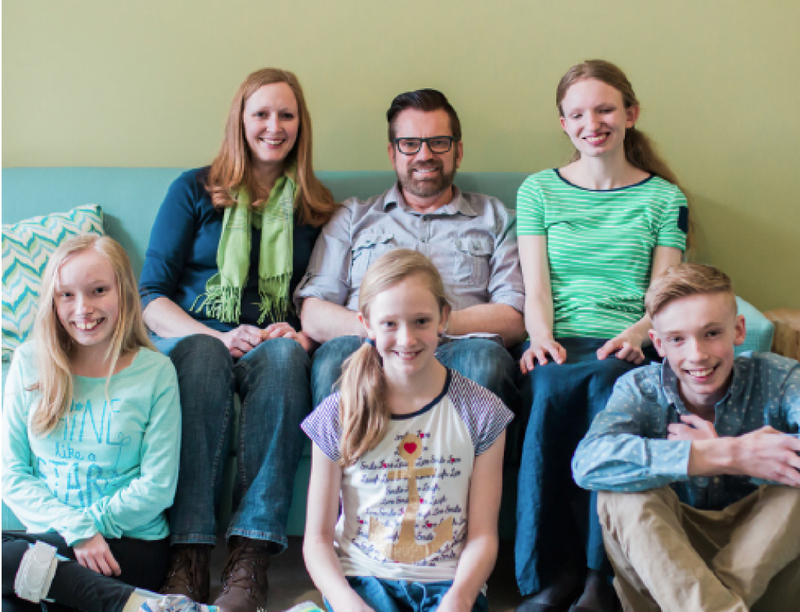 Close to other families who know what we are going through. And most importantly, close to each other so we can heal. You make that possible. 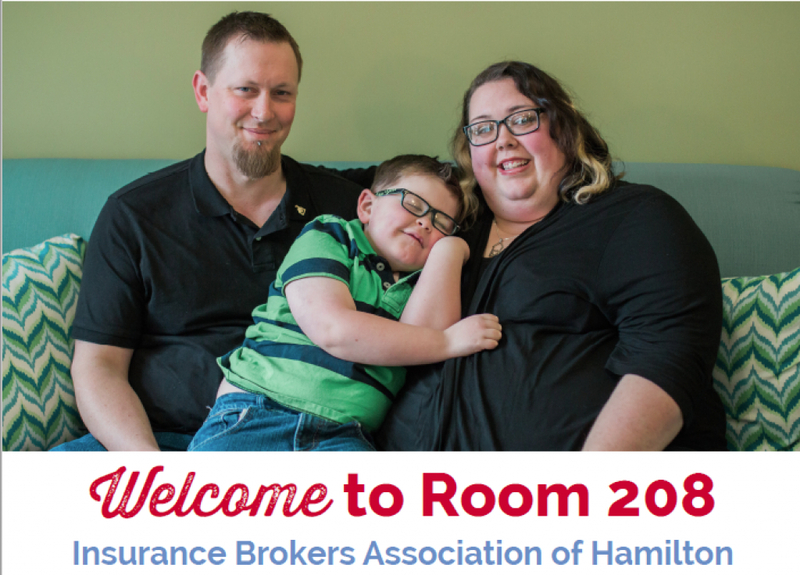 In this report, you will read about some of the other families who called Room 208 their home away from home. We are delighted to tell you that after 46 nights, we were able to return home to Niagara Falls. Griffin is doing very well and our family is truly grateful that we could stay together when we needed each other most. 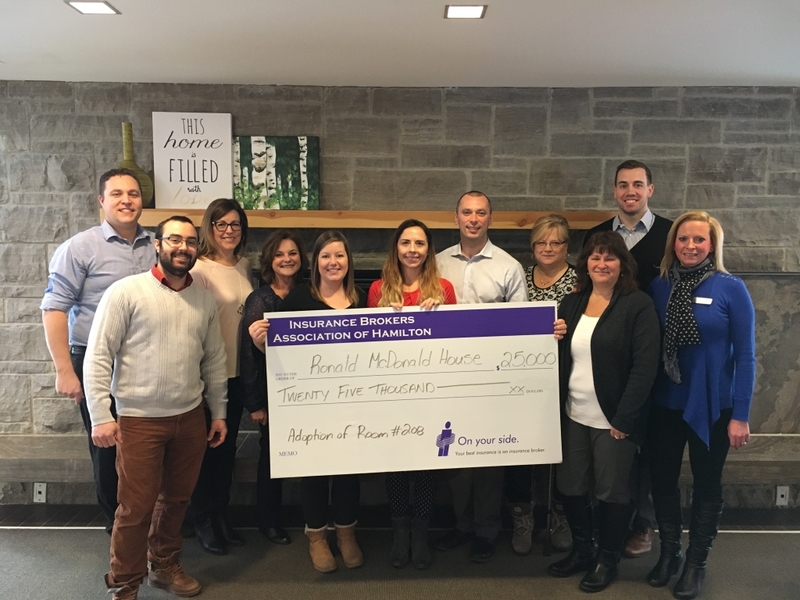 On behalf of our family, RMHC South Central Ontario and the families who have called Room 208 “home”, thank you for your support. 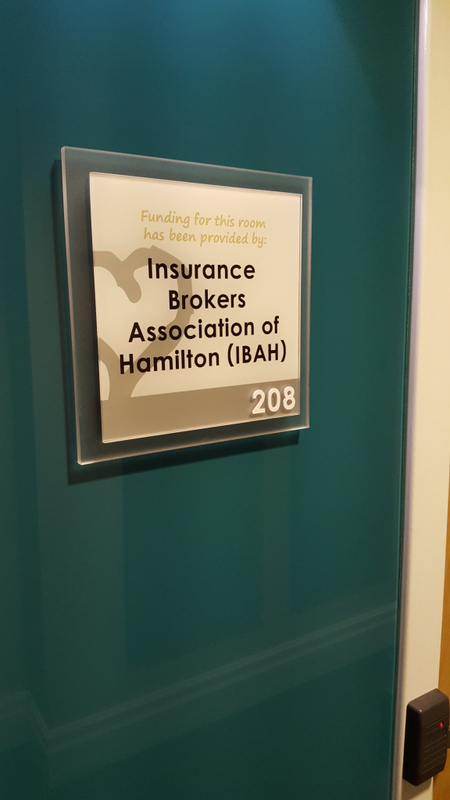 The Insurance Brokers Association of Hamilton (IBAH) is proud to announce the TOP STUDENTS from our 2018 June & September RIBO Level 1 Licensing Course: Kathryn Slack & Alexandra Demarco!!! SAVE THE DATE! On June 14, 2019, we are hosting our Annual IBAH BBQ & Trade Show. Interested in advertising your company on the IBAH website?